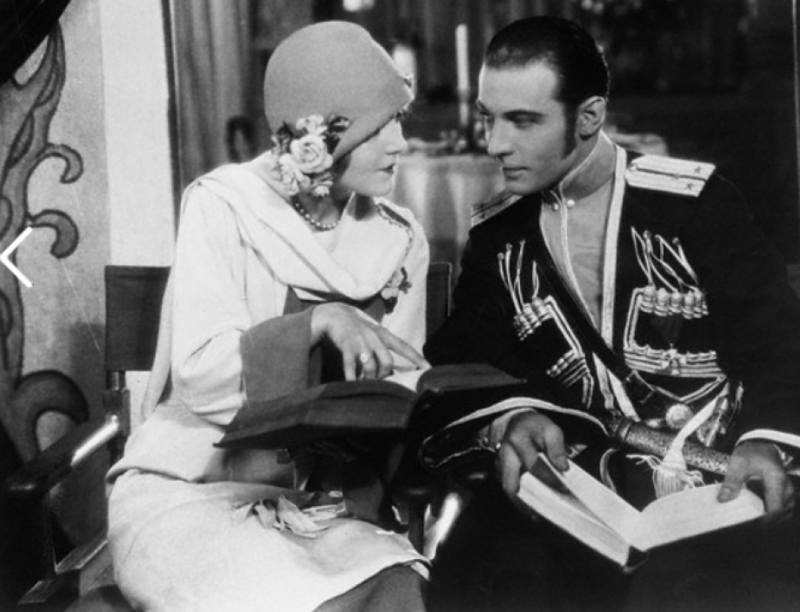 Ms. Donna Hill has just unveiled the 2018 edition of the annual Rudolph Valentino calendar. This edition depicts pictures on Valentino’s costume films. In his career he was more often an exotic Arab Sheik or Argentine Gaucho, in this calendar he can be seen and appreciated in many of his various roles. Ms. Hill does such a fabulous job every year and I always make sure to purchase a copy. The price is $15.00 and I highly encourage you to purchase early. They also make great Christmas gifts. Veteran actor of yesteryear Joel McCrea ambition to succeed on the screen dates back to the time Rudolph Valentino engaged Joel to teach him the finer points of horseback riding. For days they rode around Hollywood together, becoming so well acquainted that Valentino confided his salary to McCrea. “That settled it” says Joel. “From that moment on, I knew I wanted to be a screen actor and I went right after my goal. Two years after his first screen portrayal, McCrea was playing leads. He has a keen eye for business and purchased a ranch 50 miles from Hollywood, where he raised horses. It seems that horses were interwoven in his scheme. First, the Valentino incident started him on his way; then he acquired a horse ranch. Valentino played an important role that Joel had never forgot. Ill fate rode hard at the head of the Valentino funeral party yesterday. Motorcycle Officer Voy Apt was knocked unconscious when he and an automobile collided. At the White Memorial Hospital he was said to be suffering from a concussion, lacerated forehead and eyebrow, broken and dislocated right wrist, bruises on the right knee and other injuries all which make his condition serious. Apt was one of two motorcycle police officers leading the party that took the body of Rudolph Valentino off the train and to the mortuary. According to a police report, SE Funk 28 North Margarita Avenue was driving ahead of the procession near 810 Mission Road and suddenly swerved his car to turn around when Apt crashed into him. Funk was slated to appear in Police court to answer a charge of turning in the middle of a block and Apt was hurried off unconscious to Receiving Hospital where he was given first aid and then transferred to White Hospital. Apt is 29 years of age. He lives at 2731 North Normandie Avenue. Hospital attaches said he will probably recover. It does not appear they said that his skull was fractured.